Apply a thick layer of the lip mask onto your lips. Leave it on for 15-30 minutes. It can be left on longer, but Henné Organics founder Laura recommends at least 15 minutes. When you’re ready to remove the mask, gently wipe it off the lips with a tissue. 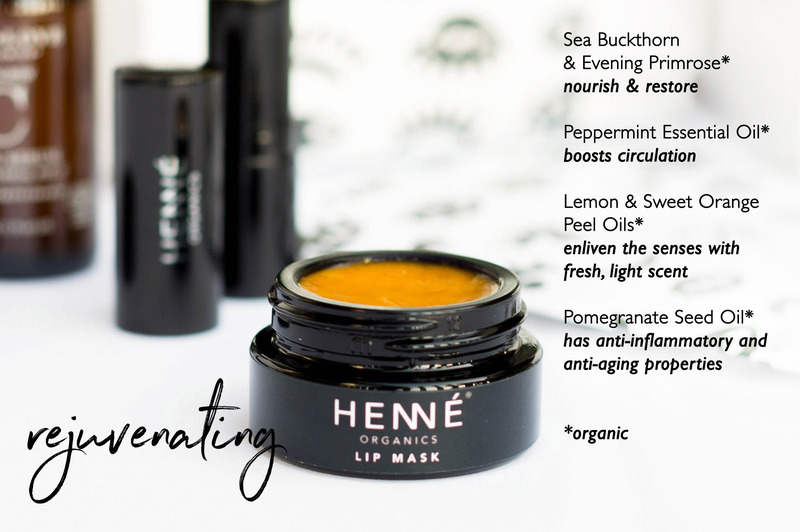 Finish with a few layers of Henné’s Luxury Lip Balm V2. We always make sure to listen to our retailers and customers and make note of their feedback and suggestions. The Lip Mask was already a product we considered launching in the future, but the growing number of requests from both customers and retailers really solidified our decision to launch the Lip Mask sooner than later. It’s the newest addition to our Henné family! We launched the Lip Mask in October 2018. 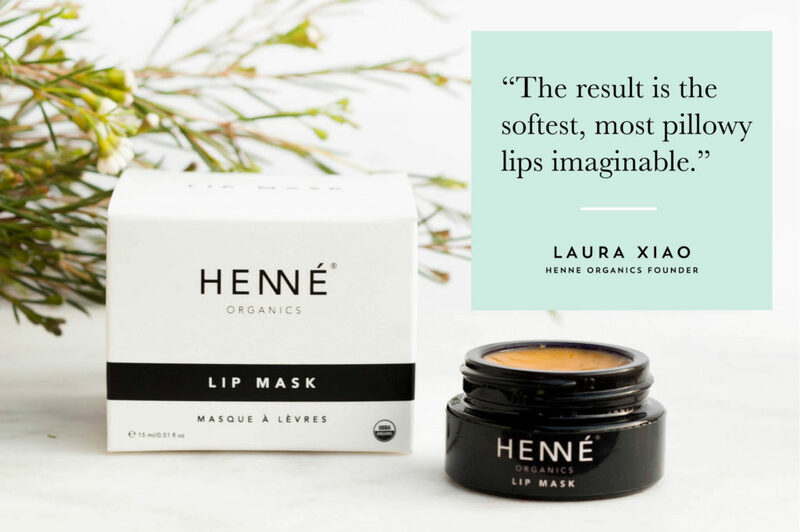 From sea buckthorn oil and pomegranate oil to black cumin oil, each ingredient has been carefully selected to help nourish, soften, revitalize and provide deep hydration to the lips.